Criminal Law, Prison Law, Mental Health Law and Family Law. Parole is granted to some prisoners who haven’t reached the end of their sentences because their risk of harm to the public is considered low enough to allow them to serve the rest of it in the community – As long as they keep to certain licence conditions, including being well-behaved. Some prisoners on parole are recalled to custody because they are suspected of committing another offence or because they are accused of having broken those licence conditions or having not been well-behaved. IPP and Lifer prisoners are entitled to be considered for parole once their tariff or minimum term has expired. They also can be recalled from licence once they are released. Despite many Legal Aid cuts to funding to help prisoners, Legal aid can still be granted so that a prisoner can get advice and assistance in making representations for their release or re-release on licence and to be represented before the Parole Board if a hearing is granted. 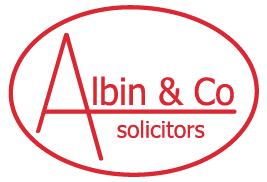 Albin & Co can offer expert advice on Parole matters and provide representation at parole and recall hearings. Andrea Storey is an advocate with a high success rate at parole hearings with many years of experience in this area. Want to meet our criminal law team? The best outcome for me and my family considering it could have been custodial sentence. I would always recommend Albin & Co.
Saying thank you seems really inadequate, but I want you to know that it is down to you… you have certainly made a difference to our future.